Be sure to watch our video slideshow, 360/3D tours and aerial video!! 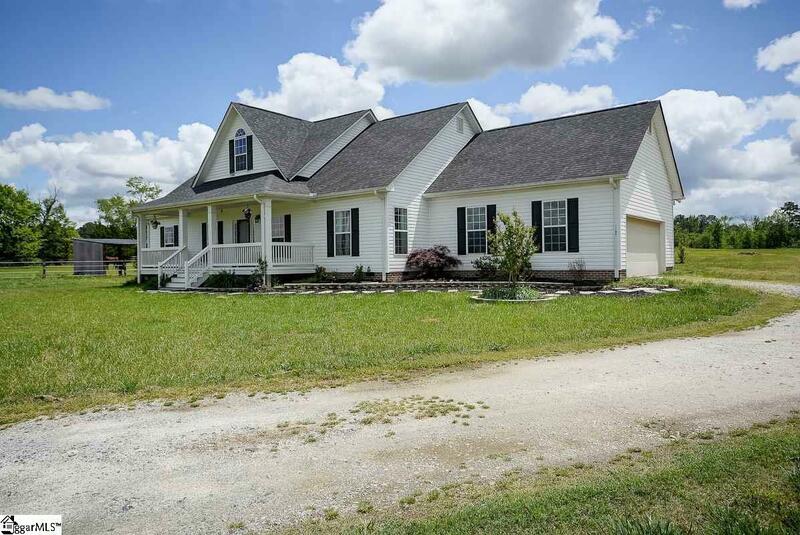 Absolutely Beautiful Horse Property in Laurens, SC!! Bring the horses, dogs and kids!!! 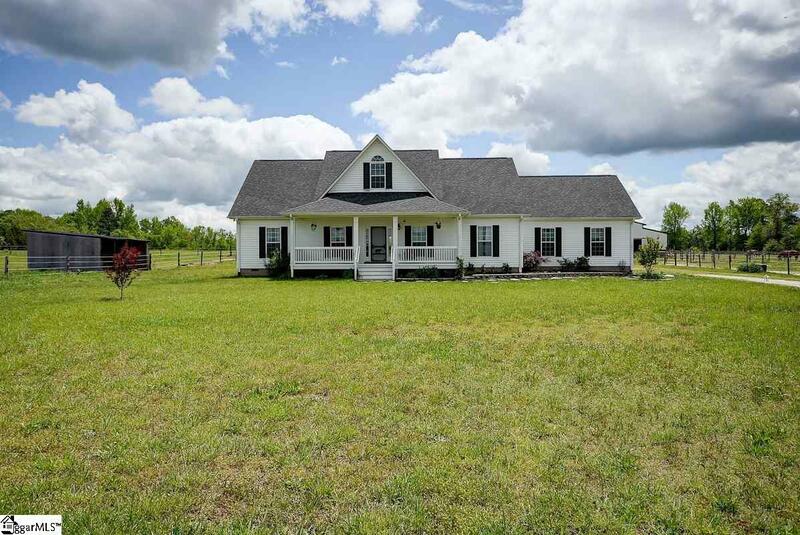 Approx 19, level and cleared acres, separated into 2 pastures (2ac & 4ac) and 3 paddocks (2 run into stalls), as well as a 110 X 150 Sand Riding Pad. A 36X60 barn with 7 stalls (all 12 x 12), 3 removeable walls to make 12x24 foaling stalls, air conditioned tack room, feed room, storage stall and hay loft. The 6 yr old house was Custom Built, has 3bd/2ba, an Open Floor Plan, brand new Laminate Floors and Granite Counters. 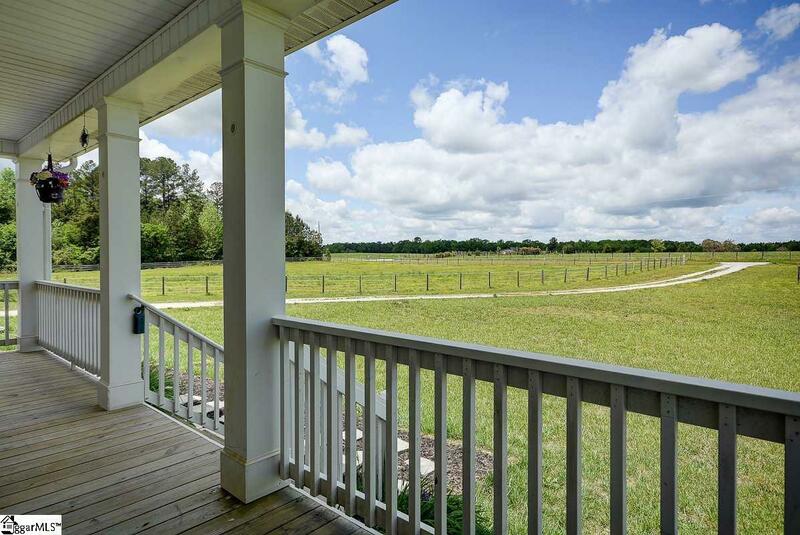 This property is located central to many of our areas best "Horsey" communities including, 75 miles to Aiken or TIEC (Tryon International Equestrian Center), and just 2 hrs to Camden, SC. It's just 35 mins to Simpsonville, 40 mins to Woodruff Rd shops and dining, 45 mins to D'town Greenville, 50 mins to the Greenville airport, and 1hr 20 mins to Columbia. This property is a horse lovers dream, and is Move In Ready!! Offered by Abbey Turner of Home Buyers Marketing II, Inc. Storage Space Attic Garage Out Building W/Elec. 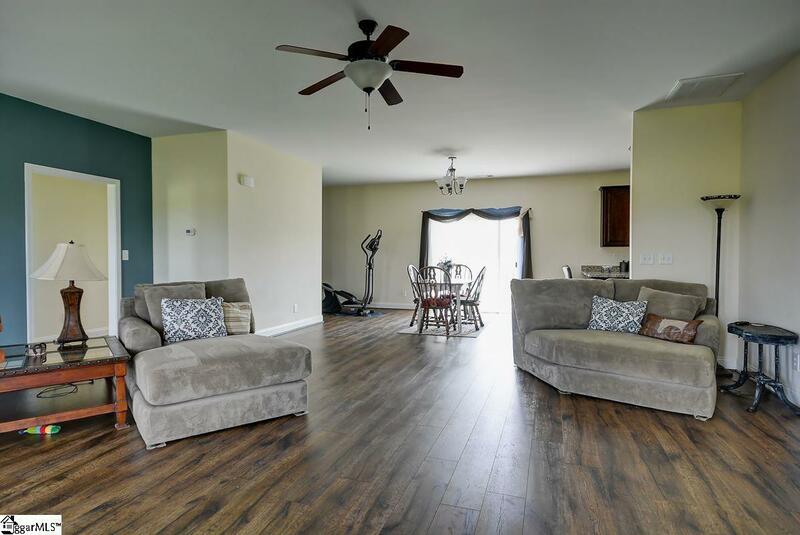 Listing provided courtesy of Abbey Turner of Home Buyers Marketing II, Inc..